I have a lot of stories to tell from our summer adventures and I'm hoping to start working on them tonight. Jessica said that I should create a photo book for the crazy last four months. But, I didn't take as many pictures this summer as usual and most of the photos are going into our photo-a-day yearbook. I just wasn't excited about creating a photo book. I'm taking a story telling class through Big Picture Classes. I'm about 7 weeks behind, but after listening to the Week 1 course about timelines, I thought it fit perfectly with my summer project. I will print out these two pages on photo paper & stick them in a photo album (my first addition since about 2009 when I started the photo-a-day project). 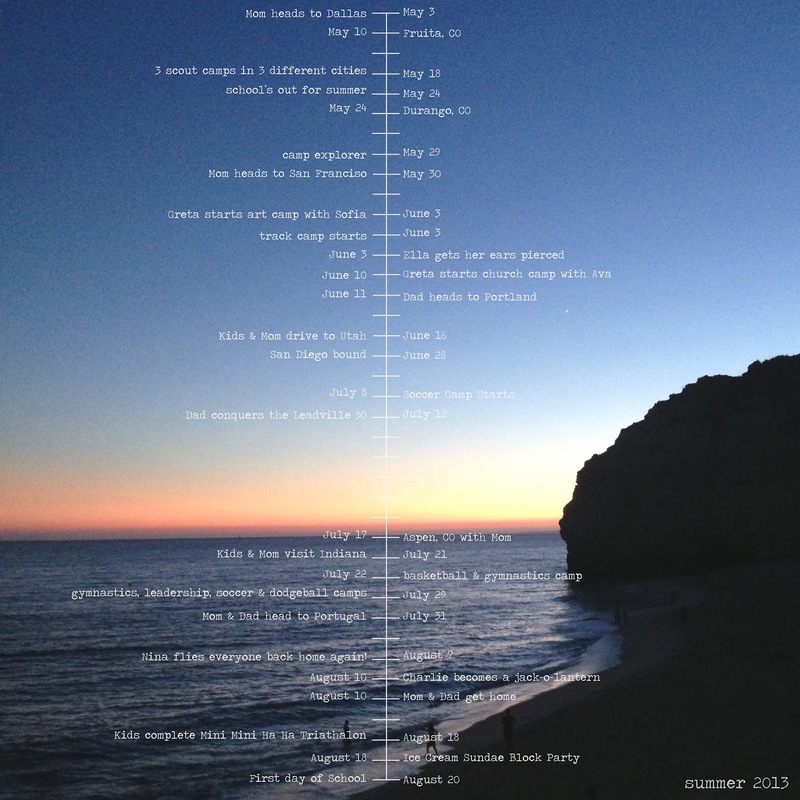 Our summer timeline in two pages. 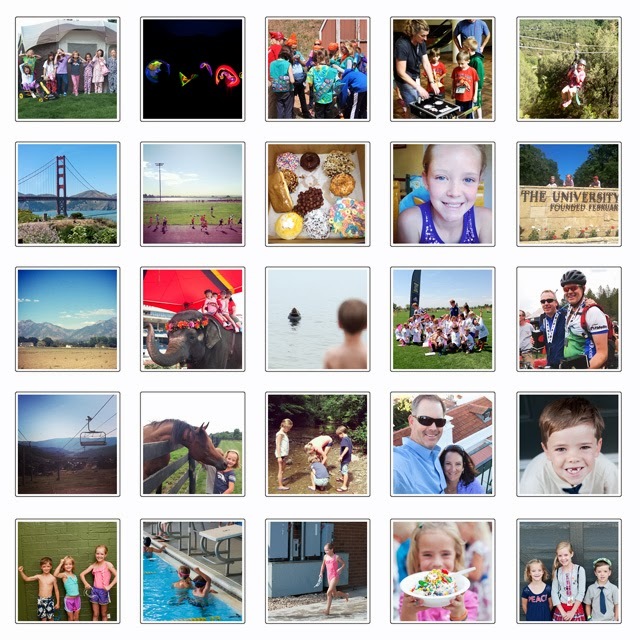 As of this morning, about half of these photos were still on a phone or memory card. One summer project down in less than two hours. Bring it on Monday.